Town extended outdoor dining by 2 hours. You'll be able to eat outside until midnight in West Hartford. The battle over curfews for outdoor dining in West Hartford is settled. 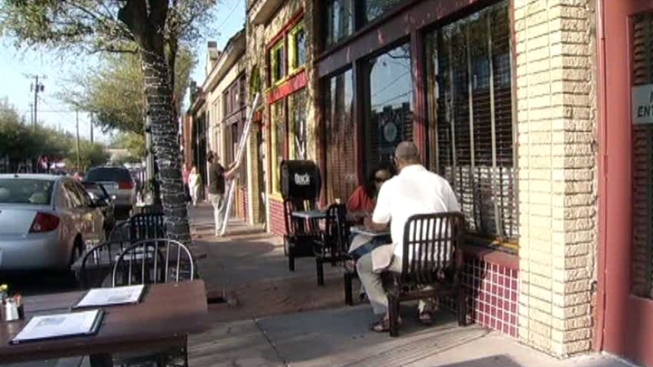 Restaurants can now serve outdoors until midnight,the Hartford Courant reports. Restaurants could only use their outdoor dining areas until 10 p.m. after residents complained about too much noise and activity.The town council voted unanimously on Monday night to change the rules, the Courant reports. Mayor Scott Slifka told the Courant that the rules help identify what the council thinks is appropriate. "This will be a living ordinance," Slifka told the paper, and the council will continue to speak with local restaurant owners. Several restaurant owners at Monday's meaning seemed to welcome the changes. Other new rules keep restaurants from selling alcohol or spirits by the bottle to patrons. In addition, restaurants are not allowed to have regular, or reoccurring, entry barriers, such as a cover charge, reports the paper.